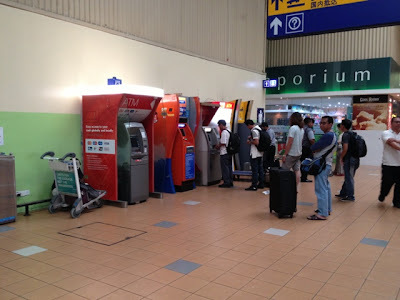 One of the things I appreciate about the Low Cost Terminal Airport in Malaysia is the availability of HSBC ATM machine. This was a fairly recent development. Years ago it wasn't there. This is really good news to travelers especially international and expatriate travelers who are using HSBC as their bank. The ATM is located near the toilet (of the arrival hall), as well as near the Starbucks Coffee place. 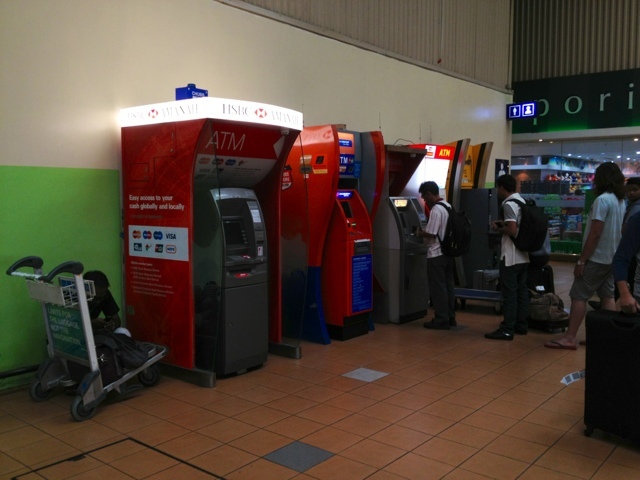 It is also lined up alongside many local banks' ATM machines.